The MYP is a challenging framework that encourages students to make practical connections between their studies and the real world. It is a five-year programme, which can be implemented in a partnership between schools, or in several abbreviated (two, three or four year) formats. 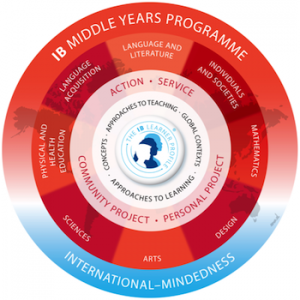 Students who complete the MYP are well-prepared to undertake the IB Diploma Programme (DP) or Career-related Programme (CP). 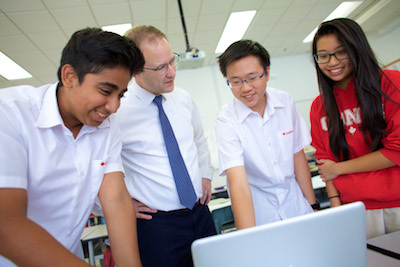 MYP students also complete a long-term personal project, where they decide what they want to learn about, identify what they already know, discovering what they will need to know to complete the project, and create a proposal or criteria for completing it. Action and service have always been shared values of the IB community. Students take action when they apply what they are learning in the classroom and beyond. IB learners strive to be caring members of the community who demonstrate a commitment to service—making a positive difference to the lives of others and to the environment.